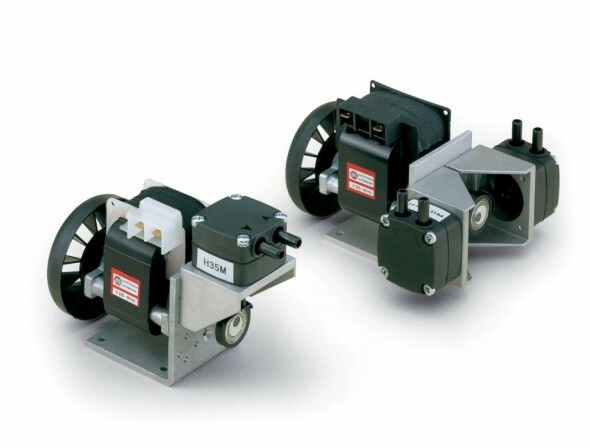 Vuototecnica is proud to present a new range of rotary vane vacuum pumps, RVP. It is an innovative product, which is technically complete in its standard equipment, built with the latest generation materials and at high standards of quality. It has a very high efficiency, and it is competitive in terms of quality/price ratio, at the same time. It is a compact and sturdy construction, suitable for continuous and heavy-duty use. The RVP single-stage rotary vane pump with automatic lubrication and recirculating, has a high pumping speed in the range of absolute pressure between 850 and 0.5 mbar. It is driven by an electric motor coupled together via an elastic joint (excluding RVP 15), complying with the latest European regulations. A big step forward was made in the direction of a reduced noise level and a low operating temperature. A centrifugal fan guarantees an adequate air flow for cooling. 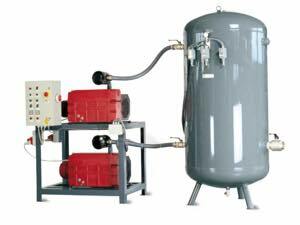 A capacious oil recovery tank equipped with microfibre deoiling cartridges has the function of smoke filtering system. A special built-in scavenge valve allows for the recovery of oil retained by cartridges. The oil contained in the system lubricates, cools and seals rotating and fixed pump parts. The check valve on the suction line is an integral part of the pump and is standard, while a filter suitable for trapping any suctioned impurities can be supplied upon request. All pumps, except RVP 15 and RVP 21, are supplied standard with a gas ballast valve, which permits high water vapour compatibility. There are cases in which it is necessary to ensure vacuum seven days a week round the clock. For example, in hospitals or in research laboratories, where the vacuum centralization must be continuous and efficient. Vuototecnica designed for these situations DSV vertical security vacuum pump set conceived for the normal operation of a pump with the option to insert a second one when higher consumptions are expected, or in the case in which the predetermined vacuum minimum value falls accidentally. When this happens, a visible and audible alarm system starts, on the electrical panel, and even from a distance. same way; switches for selecting the pumps operation (manual or automatic); a counter for counting the hours of operation of each pump.For additional security, electrical board is enclosed in a special metal case. Innovation is important in every industry. And so Vuototecnica conceived a new solution for the woodworking industry, an alternative to common vacuum dry pumps with rotating vanes. We are talking about PA series pneumatic suction pumps that allow better performance and several extra benefits to the users. These pumps are simple to use, smaller and more compact and allow to obtain the same degree of vacuum of a classic dry pump. PA pumps are made of hi-tech materials, are lighter and can be installed directly on the machine. They are not as noisy as rotating vane pumps are! This is because they do not have moving parts, due to their Venturi static operating principle who uses the kinetic energy of the compressed air by means of in line multiple ejectors. So they last longer, they do not produce annoying vibrations, they do not emit heat. In addition, main defects are removed: such as overheating and wearing. There are no more downtimes for maintenance. PA standard pumps are equipped with a pressure filter-reducer devicefor the supply air, and with a suction filter with 5/7 microns microporous paper cartridge, for retaining even thinner wood dust. 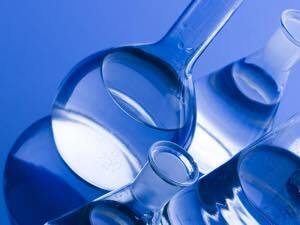 Therefore, the maintenance for the end customer is equal to the sole periodical cleaning of the filters. The initial vacuum pick is even greater with Vuototecnica PA140 pump and allows instant locking of parts such as bodyshells, which have uneven surface bends. Once you understand technical advantages and performance of Vuototecnica new pumps, you can consider their economic benefits. PA pump costs as an old pump complete maintenance with change of the blades; and without stopping the machine you also gains in terms of time and actual production. And talking about saving, PA pumps have an exceptional ratio between consumed air and intake air, to the benefit of operational consumption. They are powered by compressed air at a pressure ranging from 1 to 6 bar, they can produce a maximum depression of 90% and have a suction capacity between 3 and 320 mc/h, measured at standard atmospheric pressure of 1013 mbar. Depending on the supply air pressure, you have the possibility to adjust the degree of vacuum and the flow. Reduced weight and size, essential features in a world which is becoming increasingly smaller and which wishes to fuse effectiveness and quality with flexibility and simple transportation. 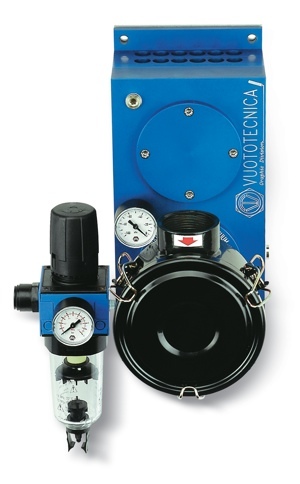 The Vuototecnica mini pumps are formed of a single-phase air-cooled electric motor, with direct or alternating current, a central thermoplastic body resistant to corrosion, hose end fittings on suction and discharge connections, a Viton membrane resistant to wear and corrosion, an aluminium support for fastening and a connecting rod with long life bearing. Their specific conformation and the paired down size enable them to be easily installed in any position, even to mobile appliances. They do not require lubrication so no maintenance is needed. A very important factor – they are extremely silent, emitting below 50 db(A) and produce contained vibrations. Choosing the most appropriate pump or vacuum generator is not easy. Capacity calculation requires a careful analysis of the air contained in the various components, the vacuum cups, the collectors, the tubing, and the vacuum interception valve. It also requires analysing the air in the vacuum generator itself, and a careful evaluation of the product that will be moved, its shape and the gripping surface. All this is done, moreover, by keeping a keen eye on the calculation of the gripping times required by the individual situations. 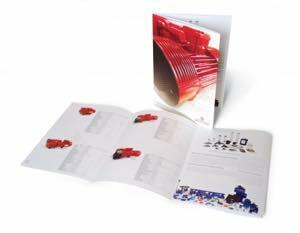 Vuototecnica, with its one-of-a-kind vacuum know-how, wanted to help its clients by providing a handbook that has each type of vacuum pump and the corresponding capacity, which depends on the material that needs to be moved and whether it is waterproof, like sheet metal and glass, or more porous, like wood or cardboard. 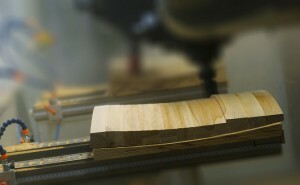 Vuototecnica has developed an indicator that makes decision making during the work process easier and faster. Above all, when choosing a pump or vacuum generator the company offers increased safety that is guaranteed by Vuototecnica’s experience in the industry. 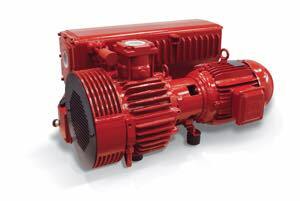 Contact experts who will help you choose a vacuum pump more quickly and safely. Vuototecnica also gives you the opportunity to test the most appropriate solutions under the supervision of its technicians. Contact us!